Today one of the ad world's largest and most prominent independent agencies announced a major restructuring of its organization as its 35th anniversary approaches. 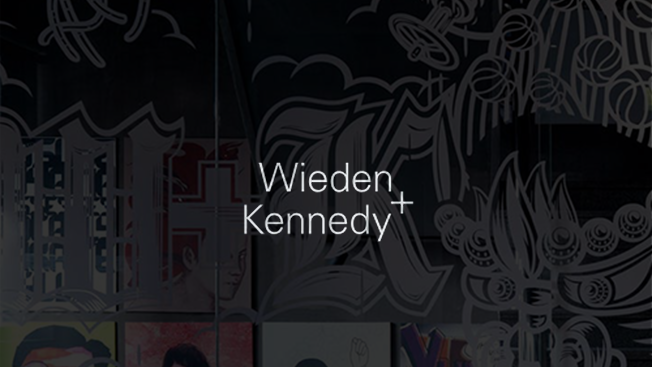 Wieden + Kennedy—which will celebrate its birthday in April 2017—more than doubled its team of global partners from nine to 24, creating a new unit called Wieden + Kennedy Stakeholders, as it looks to cement and extend its unique position within a rapidly changing industry. In addition to this expansion of its leadership, W+K also named two executives to lead its efforts to win new business in emerging markets via offices in Tokyo, Shanghai and Delhi. "Our current nine-person partner group is based on a model we've outgrown," says global president David Luhr in a statement. "That group doesn't reflect the breadth of perspective and skills we want to see in the next generation of leaders, and the next, and the next." He adds, "Given the size and complexity of the agency, we need more decision-makers representing more offices, more disciplines and different voices. Our leadership needs to be a bigger and better reflection of the agency we have become." Luhr spearheaded these changes along with global chief creative officer Colleen DeCourcy. The two have been in their current positions since 2013, with DeCourcy promoted to partner in 2014. Many now see Luhr as the natural heir to co-founder and chairman Dan Wieden. "We are focused on making work that is culturally relevant and influential, and that lives across more places and channels," says DeCourcy in explaining the move. "We are rethinking what 'work' is, embarking on unexpected collaborations, and seeking to grow in interesting, smart ways. This group is charged with pushing us further down these roads and others we haven't even considered." Karrelle Dixon of Wieden + Kennedy Portland, who was promoted from global account director on the Nike business to director of emerging markets approximately six months ago, will lead the network's efforts in the aforementioned regions as managing director along with Kim Papworth, who led the agency's London creative department for 15 years and now serves as the creative chief of its emerging markets operations. "I am so damn proud of this place," says Dan Wieden in a statement on the news. "We started as a ship of fools, and that, I quite firmly believe is why we have succeeded for almost 35 years. But I really never thought we would be talking about the next 35. The hope is always that the next generation does better than the one before them. I think under the leadership of Dave and Colleen, and this inspiring group of new stakeholders, we just might be onto something." Wieden + Kennedy's most recent announcement on the new business front concerned Chobani, which named the shop as its lead creative agency last month after a review.